In 2016, Drew Estate announced a unique collaboration with Jeff Borysiewicz and his upstart tobacco farm in southern Florida. Yes, you heard that right, a tobacco farm in Florida—something that hadn’t been attempted since the late 1970s! Jeff took his time with this pet project, reintroducing tobacco to the Florida region (which happens to be a very similar climate to the state’s close neighbor of Cuba) the right way; planting Cuban seed Criollo and Corojo on his 20-acre farm; going on to harvest the first crops in 2013. As Drew Estate is well-regarded for their commitment to new ideas and creativity within the premium cigar scene, the two companies proved the perfect fit. Florida Sun Grown tobaccos were shipped to Drew Estate’s factory in Estelí, Nicaragua, where two unique blends were formulated. 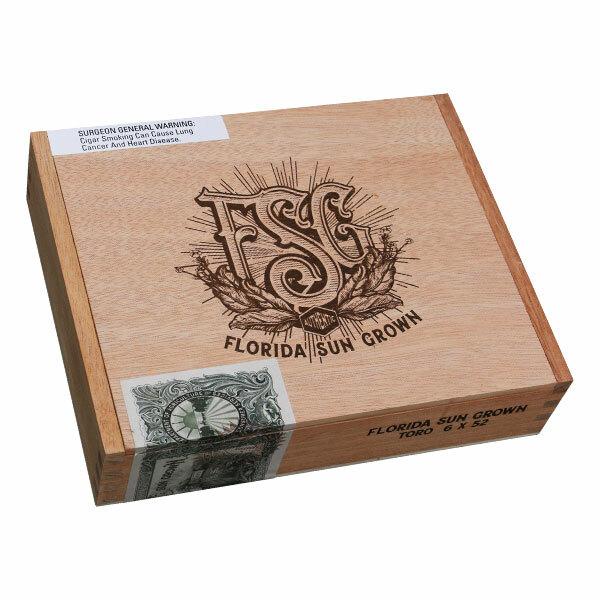 The first is the standard Florida Sun Grown (FSG), which uses Nicaraguan and FSG Corojo tobacco in the filler, a Honduran Habano-seed binder, and a Brazilian wrapper. The second blend (FSG Limited Edition Trunk-Pressed Toro) is much more limited, showcasing FSG Corojo and Criollo, Nicaraguan, and Honduran leaves in the filler, a Mexican binder, and a dark, Connecticut Broadleaf wrapper. While both of these unique cigar blends were originally confined to a single retailer, Drew Estate took the blend nation-wide one year later, giving enthusiasts across the country the chance to experience tobacco as it were grown in America dating back to the Civil War—offering the unique properties of Florida’s soil as a complimentary ingredient to this exciting smoking experience. Try a sample (or full box) today and see what has craft cigar fanatics raving.